We were awoken early on Sunday morning with the sound of the alarm clock ringing in our room. Our journey had taken us 5 hours the day before and we were tired so had looked forward to a good nights rest. When we explained what had happened to the reception staff during checkout on Sunday, she just laughed this off. We found this behavior quite insulting. We had no option but to take the return 5 hour drive back home feeling very tired. We had a wonderful weekend. The hotel room was really clean and smart. The bed was huge and incredibly comfy, we had the best nights sleep! Drinks in the bar are on the pricey side but the ambience made up for it. We would definately stay again. Good stay after a long journey from Heathrow. Not up to the Hilton mark. Can improve lot specially the service level of the staff in restaurants and other areas. This is a decent Hilton. Me and my wife got the room really cheap so we were really pleased with it. Location is good if you have a car. We used the hotel as a base for visiting Bristol & Bath. 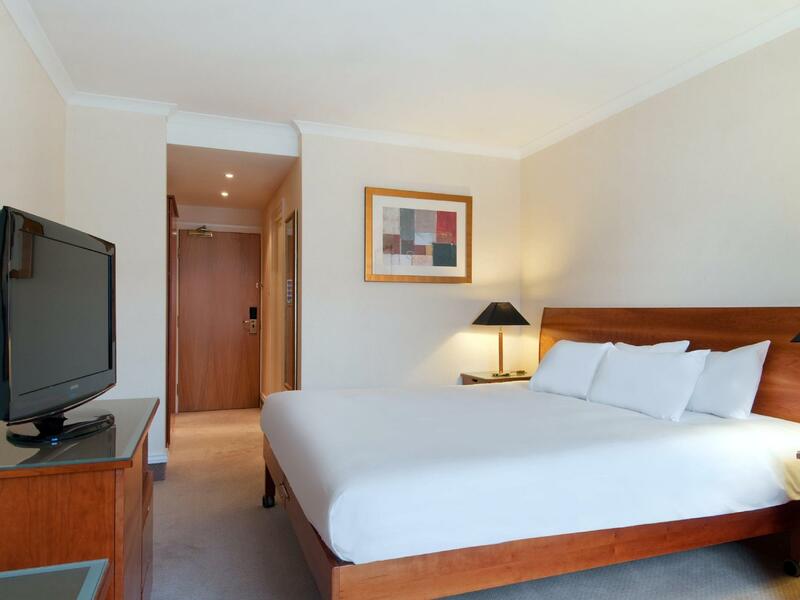 The Hotel is £10 taxi to Bristol Parkway for visiting Bath. The Hotel was warm & clean and room service was excellent. All the staff were really helpful and kind. 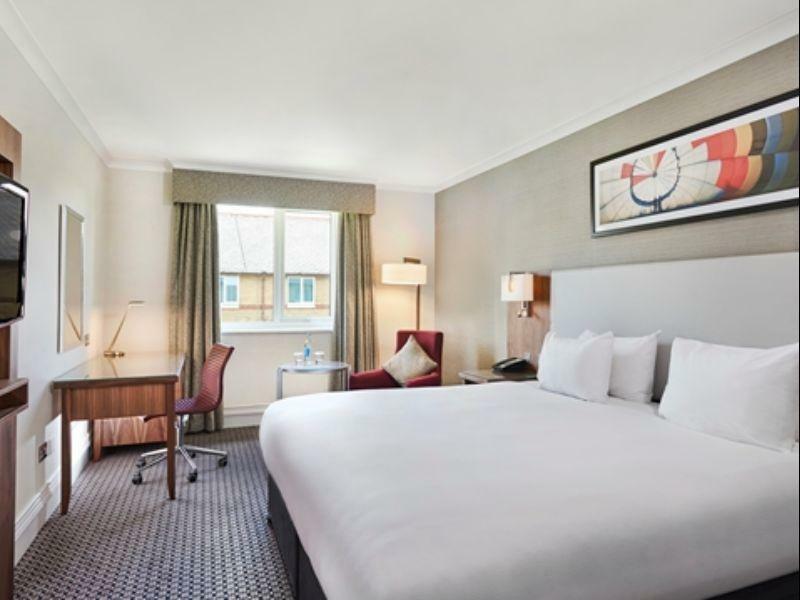 Please note Parking is free for Hilton Honors loyalty card members (I think it is £5 per night for non-members) and you get a free newspaper for Hilton Honors members too. The breakfast is excellent! Really filling! Please note you can't a specialiality coffee at Breakfast only tea or coffee in pots to add your own milk and sugar. 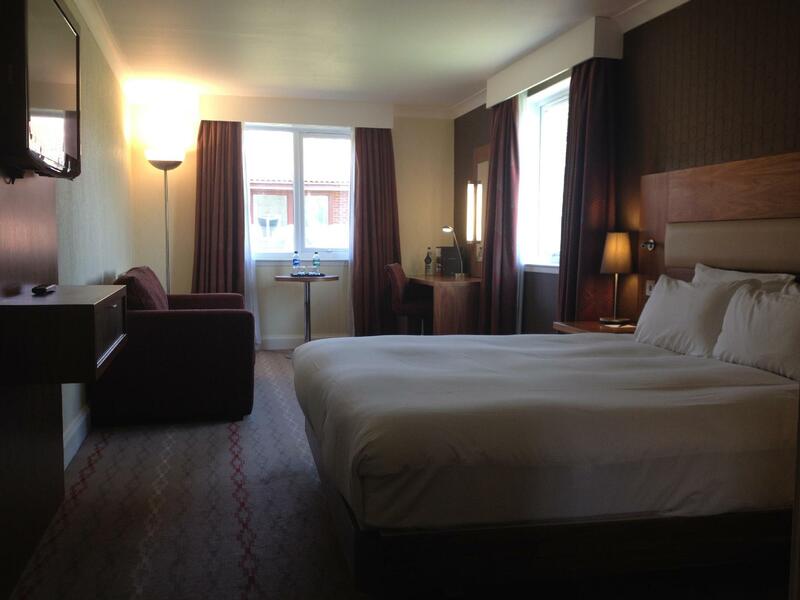 If I was being critical the Hotel is a little dated, but overall it's a UK 4 star and really good rate and value!! Large comfortable bed, location, good service. Good for access to local area. Internet access was free in lounge area but in room £15 per night. Parking should be free for residents not £5.00 per night. Reasonable gym and pool, good sauna. The stay is good but I was surprised that I was charged for the car parking as I thought car parking is included when I booked the hotel. Perhaps miscommunication but the info on the website is definitely not clear but the charge. Not my first time there It is a typical Hilton with all you can find in such hotel. I did like the swimming pool but unfortunately the fitness room was closed for some maintenance work (would have been good to be informed at time of booking !) Rooms are fine. Temperature was cold outside but warm in the room. Only bad things but it is also Hilton standard (!!!) : breakfast is overpricy and internet connexion not free ! They charge a fortune - something like 15 pounds for 24 hours. I find it is not acceptable in the 21th century !!! Lovely hotel and good location for north bristol. Would def stay again. 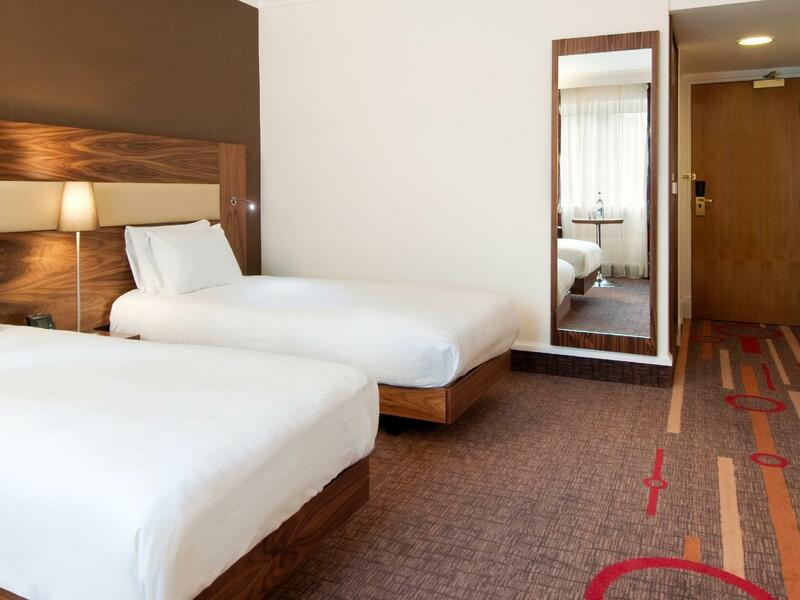 You will find everything you can find in a standard Hilton hotel. So no surprise. I did not realise that it was so far from airport. It is actually located ouside Bristol and was not convenient for me. Rooms are clean and large enough. Beds are comfortable. my stay was fantastic, my only problems were that the travel agent i booked with, did not notify the hotel of my stay at the hilton, which would've been very problematic. Breakfast and leisure facilities good. Location not brilliant and have no need to charge to residents for parking. 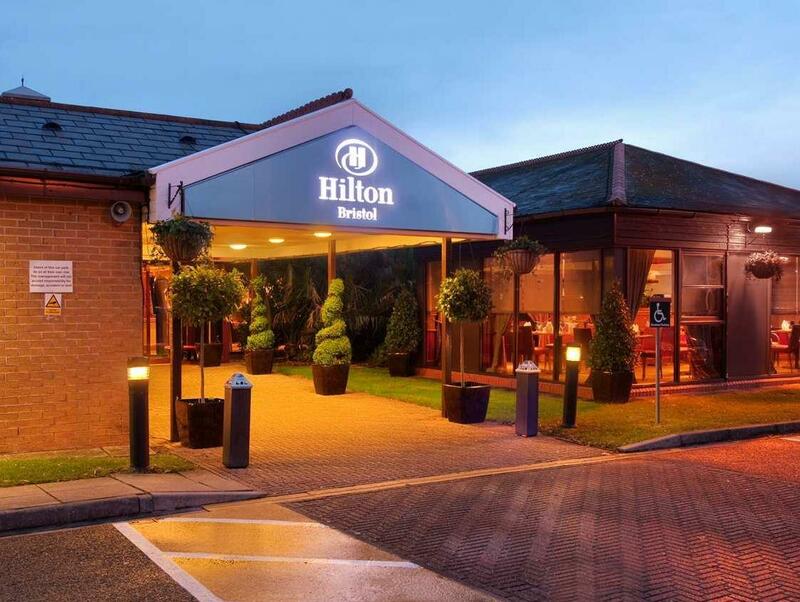 We have always enjoyed staying at the Hilton, The Hotel is in a very quiet location and very warm and welcoming. We would definately recommend it to our friends. Only downside is, there is a charge for parking, a night which is not mentioned on the site. Big hotel, has relaxation area with pool. Huge rooms, bar in the lobby. Quite good range of options for breakfast. If hotel is used for party try to get a room a bit away from the lobby.